It’s the most wonderful time of the year! Winter is a beautiful time in Hanover, so be sure to attend these events and get festive! 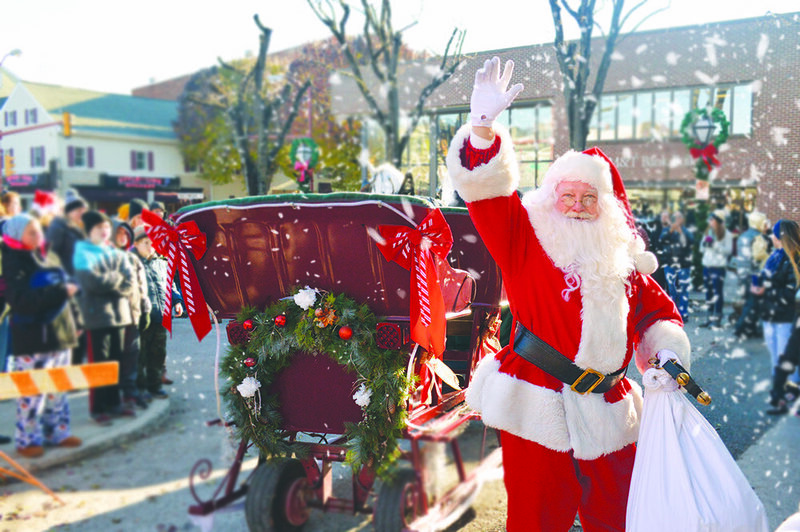 Sip some cocoa and watch as Santa travels through downtown Hanover on his way to his brand NEW cabin! Kids will love seeing decorated floats and collecting candy. The parade starts at 9 a.m. and usually lasts less than half an hour. When it's over, Santa will be available for pictures in his cabin! Meet the big guy and get a picture! This is the first year for Santa's new cabin; the previous cabin was retired after being used for 80 years! Visit hanoverpasantacabin.com for cabin hours. Come downtown for live music and activities as Hanover prepares to light its Christmas tree! The tree lighting starts at 6 p.m. and lasts for about an hour. Shop sales and specials while eating tasty cookies served at select downtown shops and restaurants. Cookie Stroll begins at 1:00 p.m. and ends at 5 p.m.; a full list of participating businesses is available on Main Street Hanover's website.